America has pretty strong knee-jerk associations between countries and wines. New Zealand is sauvignon blanc. Australia is shiraz. German is riesling. And Argentina is malbec. The converse is sort of true as well, as people associate what the grape is supposed to taste like by where it’s from: sauvignon blanc is limey and tropical and lean, shiraz is big and fruity, riesling is sweet and malbec is dark and spicy. Sample a smattering of what’s available in a grocery store wine isle and these stereotypes hold pretty solidly. Pour a Safeway customer a Sancerre sauvignon blanc, Cote Rotie syrah, New York riesling or Cahors malbec and they’re likely to get lost based on their geographic associations with those grapes. It’s enough to drive a wine snob mad because terroir does matter, especially in the four examples I used above. Then add in price point associations and we’re now far off from what could be someone’s wine reality with a little adventure and knowledge. I’ve fallen pray to some of these shortcut assumptions myself, and because I’ve never loved the standard NZ sauvignon blancs I haven’t looked into what the good ones might be, except for Greywacke’s Wild sauvignon blanc. I’ve spent a little more time on Australian shiraz and found gold with well-aged Kaesler and Kilikanoon. I still haven’t invested substantial time into German riesling, but certainly more than Argentinian wine which I don’t think I’d had for several years prior to the wines tasted for this article. With this in mind, I tasted through ten different Argentinian wines sent as samples to Good Vitis. Two whites, eight reds, with suggested retail prices ranging from $10 to $25. The idea was to assess some of the wines available to the entry level wine shopper to see if there might be some diversity beyond the simple association people have of Argentina wine. I was hoping to find some variety. There were three wineries represented among the ten wines: Santa Julia, Colomé and Amalaya. My favorites from the group included Santa Julia’s 2016 Organic Cabernet Sauvignon (90 points, Value: A), 2014 Valle Uca Cabernet Sauvignon (91 points, Value: B+), Colomé’s Torrontes (88 points, Value: A) and Malbec (91 points, Value: A) Estate bottles, and Amalaya’s 2016 Malbec (89 points, Value: A). Honorable mention goes to the 2016 Santa Julia Tintillo (88 points, Value: B+), a 50/50 blend of malbec and bonarda that would go well with red food (see pairing suggestions in the review below). These wines represent some decent variety, with some showing flavors beyond big, juicy fruit, and I would be happy to spend an evening with any of those mentioned in this paragraph. All were provided as trade samples and tasted sighted. The largest contingent came from Bodega Santa Julia, a winery in Mendoza founded less than thirty years ago. Colomé and Amalaya are part of the Hess Family collection of wineries. Colomé is the result of a three year “quest to find the source of an exceptional Malbec that [Donald Hess] had at a dinner in a small bodega in Salta.” The winery was founded in 1831 and grows its grapes at elevations ranging from 6,000 to 10,000 feet above sea level using biodynamic practices. Some of the vines are 160 years old. Amalaya is an attempt to highlight the weather and soil conditions unique to the Northern Calchaqui Valley, which is part of the foothills of the Andes Mountain range. Make no mistake, though, elevation is still significant: it ranges from 5,250 to 5,580 feet above sea level. The vineyards are sustainably farmed as well. Aaron: I thought you had a great idea combining the numerical score with a value grade. I assumed the numerical ignores the cost and the value looks at the cost compared to the rating. Then I looked at the 2015 Santa Julia Reserva Malbec. You give it a 90 but a value of C, so when I went to Wine Searcher I was expecting a price of $40+. Instead, I see a price of $10. So, I say to myself, “self”, how can a 90 rated wine get a value rating of C with a $10 price? Bruce – Your assumption is partially correct, the numerical score ignores the value. The value puts the wine in the context of that wine’s place in the global market of similar wines. The Santa Julia Reserva Malbec, for example, is a solid 90 points. 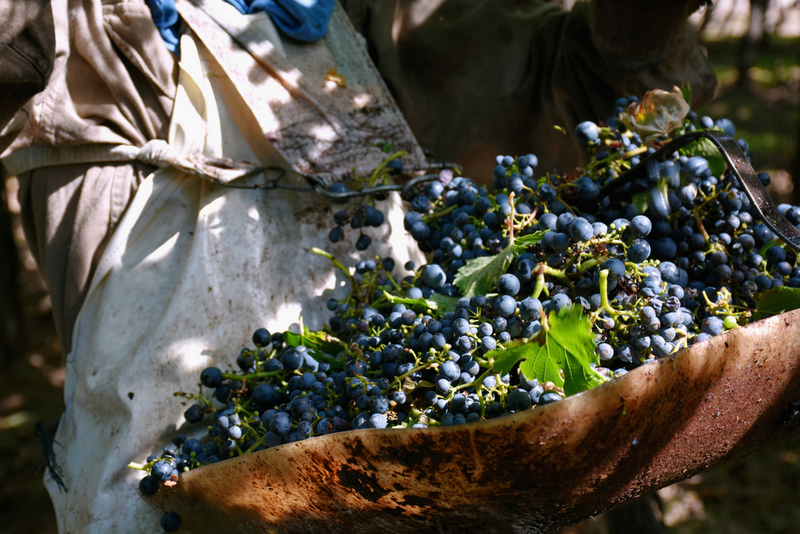 In the global market of red wines made with similar quality grapes, attention to detail, etc. at the $10-15 range ($15 is the MRSP), how does it fare on its merits? My answer is average, hence the C. Put another way, I’m passing judgment on the wine in the following scenario: if I were at the store looking for this kind of wine/price point and bought a dozen examples, where would this one fall? Again, I’d put it the average category based on my experience. Hope that helps!